266. The shaft has two screws of different pitches cut on it, one screwing into a fixed bearing, and the other into a bearing free to move to and fro. 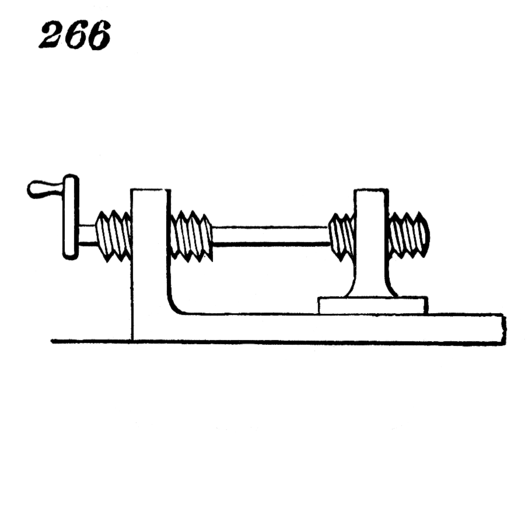 Rotary motion of the shaft gives rectilinear motion to the movable bearing, a distance equal to the difference of pitches, at each revolution.